Host the Ultimate Movie Night! Let BASE bring the theater experience to your next event! From backyard gatherings to community events, let our team help you customize a festive movie night. 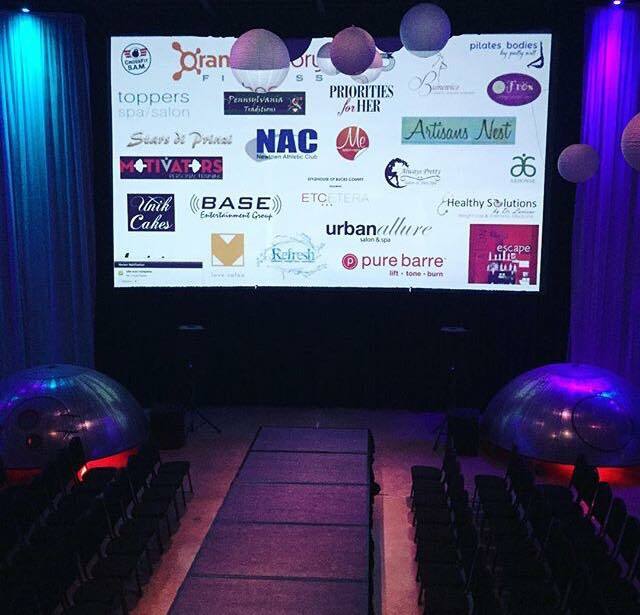 Our big screen packages also add a perfect accent to customer appreciation and corporate events. Are you planning a special birthday celebration? Coordinating a FUNdraiser? Want to add a cool element to your wedding or anniversary? Then you may want to consider hosting a movie experience like no other at your next event. From contemporary to nostalgic features, let BASE help you host the most ultimate movie night—ever! Our 22 ft. inflatable screen transforms any large space into an old school drive-in movie. We combine this with a high-quality sound system, a Blu-ray or DVD player, and a HD video projector that is meant for a screen this size. We can also help you to coordinate additional features like a popcorn machine, red carpet entrance, a photo booth, lighting, and some pre-entertainment via our DJ services. We have set up our movie screen at school gymnasiums, banquet halls, hotels, block parties, fairs, park events, backyards, rooftops, poolside, and even inside an airport hangar. We also work with businesses that are looking to host special events for their customers or employees. In regards to pricing, please give us a call so we customize a package for your event. As you can see, there are so many ways for us to create a memorable experience for you and your guests. Call us at 908-866-1170 for more details.